More than likely, you remember your first day of school. The nervousness, the anticipation, all mixed in with a little excitement because you didn’t quite know what to expect. Maybe you clung to your mum or dad, a little hesitant at this new environment, or perhaps you shouted ‘see you later!’ over your shoulder, skipping off without even looking back! Your little one’s first day might go either way or land somewhere in between. One thing’s for sure, though: starting school is an important milestone, a rite of passage, for your little miss or mister. Come to think of it, it’s your rite of passage, too! We want to give you everything you need – from practical tips, strategies and activities to support, insight and reassurance – so you’re safe in the knowledge that junior is ready to learn, play and grow at school. When should my child start school? What type of skills does my child need for school? What can I do to help my child be ready for school? We’ve provided some answers to these questions below so read on! In Australia, school readiness is defined as "the presence or absence of a particular set of skills and abilities in a child". Simply put, kids are considered ‘school ready’ if they’ve developed specific ‘building block’ abilities such as language, fine motor (small hand and arm movement) and gross motor (bigger body movement) skills. These building blocks are known as foundation skills. They’re the skills that your child’s teachers will add to over the course of their school journey, through regular school-based activities like learning to read, write, draw, play sport and so on. Most importantly, developing and honing little miss or mister’s foundation skills means they won’t start school on their back foot, already behind. Instead, they’ll burst forward in leaps and bounds ready to tackle and enjoy their school life! This is a tough and extremely personal question because each and every child is so different and learns at their own pace. There are so many opinions floating around out there – in the media, from teachers, from friends and family, or even on the playground at your local park. Plus, to add to the confusion, the Australian school starting age varies from state to state. So how do you know what’s the right move for your child? Well, despite all of the debate, what’s generally agreed upon is that you need to consider junior’s individual capabilities and skills when you’re making this decision. We’ve put together a range of resources that will help you figure out whether your pint-sized human is ready to take that next step into school. ​Chatting with your tot's pre-school or kindergarten teacher is also valuable for finding out how your scallywag ‘performs’ in a non-home environment. We’ve put together a special downloadable PDF (click to download a copy) that delves a little deeper into these various skills, so you can see if your child could use help in any areas. Remember, little miss or mister’s skill level will depend on their age so you can also look at the School Readiness Checklist as a reference for the general milestones for junior’s age group. What can we do to help our child be ready for school? 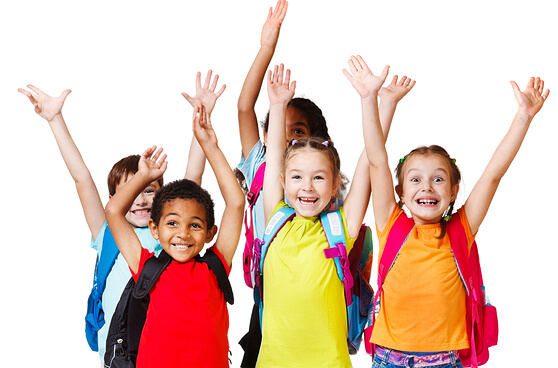 Don’t worry, there’s plenty you can do to ensure your youngster has a comfortable and happy transition to school. In fact, that’s why PlayBiz is here – to provide you with a bit of a roadmap for how to hone your whippersnapper’s crucial foundation skills so they reach the destination of starting school with their best foot forward! We’ve put together practical strategies, tools and activities that will help you provide your child with positive, quality learning experiences – what we like to call ‘teachable moments’. They’re the ones that help little miss or mister develop their oh-so-important foundation skills and a really healthy attitude towards learning. Because PlayBiz makes learning fun!